Is there a way to get the pdf attachment that is emailed to me, actually look like the form filled out? Currently the pdf attachment is more of a black/white spreadsheet look. Please note that this will create a FIXED PDF layout, meaning it does not adjust based on your submissions' content. It is similar to a paper print layout. Please also note that this will apply to all of your PDF submissions on that form, including the one attached on your email alert. If you still have any query, or need further assistance, please feel free to contact us. I went through these steps. There is no step telling me how to make the pdf attachment look like the actual form when filling it out. Please reply with more instructions. You can review the screencast video below on how to use the PDF Designger. Please underatand that the PDF Designer is still a work in progress. So the customization tools available are still very limited. 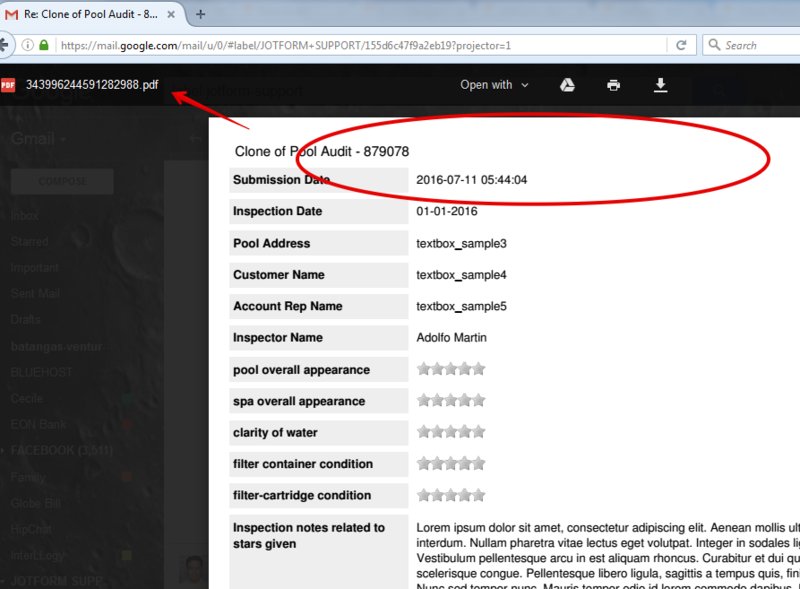 Here is the default email attachment of PDF report in my email when I test it on my form. 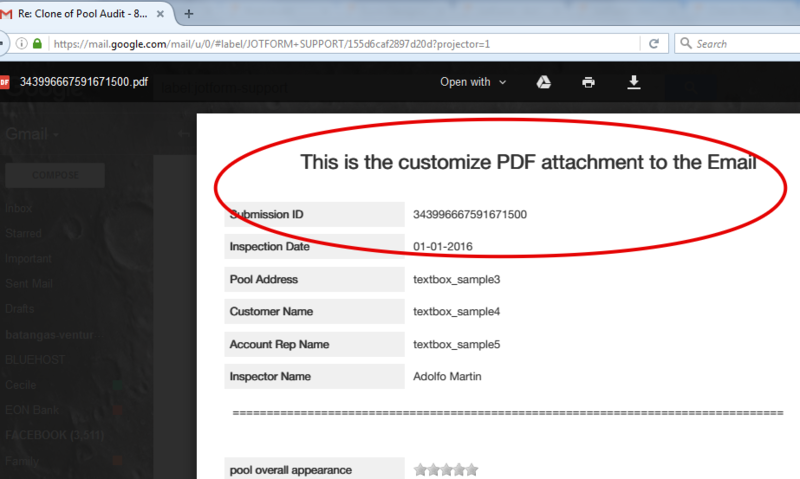 and here is the customize PDF report version. The video is very helpful. But, unfortunately I am not getting my question answered. 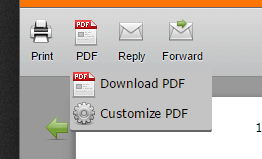 I don't want to customize the pdf. As described by my colleague Jonathan, in previous post, once you will customize the PDF, then you will receive that customized PDF as attachment, when you will receive email submission notification. Unfortunately we do not have option, where by default pdf can look exactly same as per the Form Design. After the customization of PDF, you may get the look of PDF similar to Form Design, and that customized PDF you will receive on email notification, after the Form submission. If you still have any query or need further assistance, please feel free to revert back.